Located across the street from University Village, and just half a mile from the University of California at Riverside (UCR), Dynasty Suites Hotel is situated in one of the most diverse and fastest growing areas in the US. We are just a short taxi or bus ride away from Historic Downtown Riverside and the Riverside Convention Center. 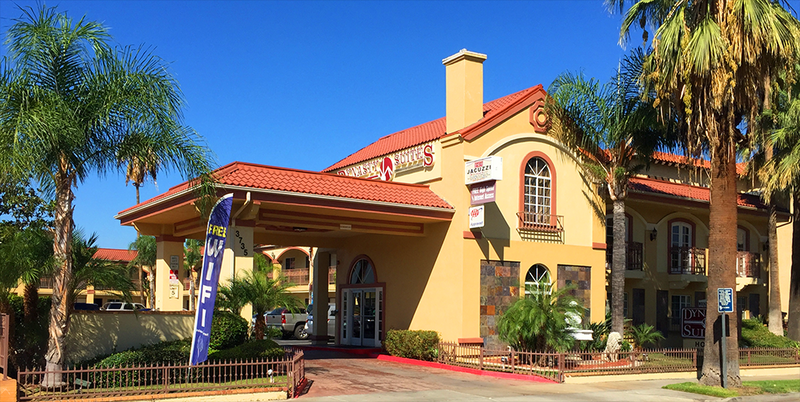 Dynasty Suites offers spacious and plush rooms with free amenities such as WiFi, continental breakfast, on-site parking, bottled water, faxes and copies, and DVD Players. All of our rooms also include microwaves and refrigerators at no extra charge. We always offer our best rate online, so reserve your room today! For Credit Card Authorization Form Click HERE!